Post the phenomenal success of Pellichoopulu, young hero Vijay Deverakonda is one of the most sought after young heroes in Tollywood. 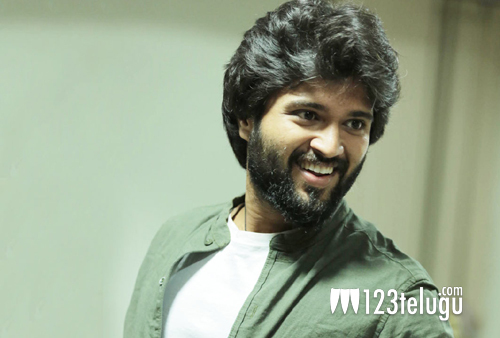 The actor’s next movie, Dwaraka, is awaiting a proper release date. According to the latest reports, Vijay Deverakonda has signed his next film to be directed by Malli Malli Idi Rani Roju director Kranthi Madhav. This film is expected to be produced by KS Ramarao. Apart from this project, Vijay also has Arjun Reddy, Nandini Reddy’s romantic comedy, Rahul Sankrityan’s supernatural thriller, Pelli Choopulu’s producer Raj Kandukuri’s next under Vivek Athreya’s direction and debutant Bharat’s movie.